The central mystery of the Chequers Agreement is why it has been necessary to compromise the independence of the UK in so many areas of policy. What is to be gained that is so important that Theresa May risks splitting the Tory party like Robert Peel or Joseph Chamberlain before her or condemning the UK to decades of rancorous dispute and soured relations? Of course, the PM asserts that little in the way of sovereignty will be surrendered, but this is not plausible. The regulation of goods in export industries is proposed to be decided in Brussels and assertions that final decisions will reside within the UK cut little ice. Martin Howe QC describes the proposed arbitration panel for adjudicating regulatory disputes as little more than a post-box for the ECJ. The idea that the UK will be free to negotiate new trade deals lacks conviction. Tariffs may be on the table but regulations for goods will not. For Americans and others there will be little to talk about. President Trump, in his unvarnished way, stated no less than the obvious truth and this has not changed despite his apparent volte face. There can be little US interest in a trade deal when the regulations for goods are those of the EU. Freedom to set labour standards, competition policy, even ‘state aid rules’ on aid to disadvantaged regions will all be compromised. All of this is, apparently, to prevent lorries being stopped at Dover (there are few problems at other ports) and to keep over-the-top promises about no checks at the Irish border. 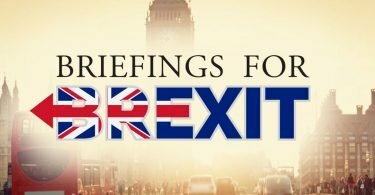 Since the Chequers Agreement is likely to fall apart, either in Parliament or at first contact with the EU, what are the alternatives? Most obvious is a Canada-style free trade agreement as offered by Donald Tusk, free of further ties to the EU. For some exporters this involves problems of trucks being stopped. Solutions are obvious. One is to extend the existing trusted trader scheme under which consignments of frequent traders would rarely be checked. The other is to extend electronic customs surveillance including the well-established vehicle number-plate recognition technology, alongside the by now normal electronic customs clearance arrangements. Lack of space at Dover is not important. A checking facility a few miles away will surely suffice for the one or two percent of lorries which are likely to undergo checks. As few as 100 lorries a day may require checks at Dover, and it is surely not beyond possibility that this can be facilitated. On the UK side there are few reasons why most of the flow of components or perishable foods should be delayed at all. Regulations are already fully aligned. Equivalence needs to be negotiated for the EU to recognise UK standards. This is what DEXEU proposed before being side-lined by No.10. Other threats from Brussels, like that of blocking or even rescinding air safety certificates can be disregarded as a bluff, alongside threats to prevent planes landing at EU airports. This should be enough for the just-in-time manufacturers in the car and other industries. Their lorries can get through unhindered. Airbus is different since its wings are flown out, but components may come by road. Just in time processes are less important here but safety certification is essential. The UK wishes to continue using the EU certification system but may eventually need its own arrangements, although it will take time to secure full international recognition. It is also possible to envisage ways forward on the Irish border with similar arrangements. 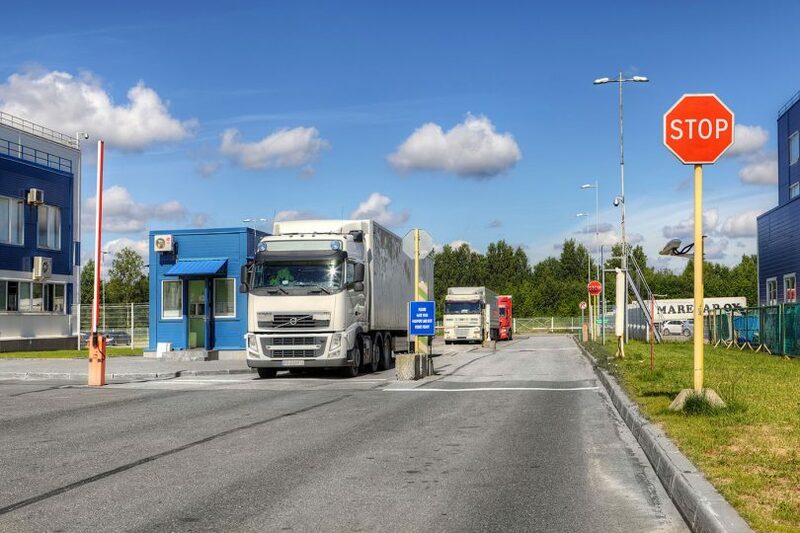 To avoid physical infrastructure, mobile phone technology could be used to monitor commercial border crossings, as advocated by the EU Parliament’s own expert Lars Karlsson. Drivers already own phones which track their location and can locate borders (or indeed speed cameras or anything else). Downloading a customs app and setting up the sort of control rooms that Network Rail already uses will suffice. Scare stories that nationalist drivers will not comply need not be taken seriously. Some evasion will occur, as it does for existing regulations for excise duties and VAT. An undertaking by the Northern Ireland authorities to retain regulatory equivalence with the EU for on animal health and food safety would also be needed. This should not be difficult. Northern Ireland already claims higher than EU standards in much of its food industry and will need to maintain equivalence to continue exporting to the EU. Some controls at the Irish Sea will also be necessary, especially to control imports of animals and food. The DUP are not necessarily opposed to a ‘cordon sanitaire’ for the whole island as long as there are no creeping additions towards what could be seen as a change in the constitutional status of Northern Ireland. Lorries spend hours on the ferry crossings, giving a good opportunity for checks, as senior NI civil servants have suggested. Indeed, some such checks already exist. The EU have already driven a coach and horses through promises made on the Irish issue in last December’s Joint Progress Report and the Irish section of that agreement could be reset. The UK does not need to be trapped inside a customs union to deal with what is a manageable problem. There are better ways forward. Dr Graham Gudgin is Chief Economic Advisor at Policy Exchange. He was formerly special advisor to the First Minister in Northern Ireland.